Garnett Mull, age 83 of Canton, passed away Wednesday, July 25, 2018 at Canton Regency. He was born June 21, 1935, in Hayesville, N.C., the son of the late Everett and Mae (Mosteller) Mull. Garnett retired from Timken Company. 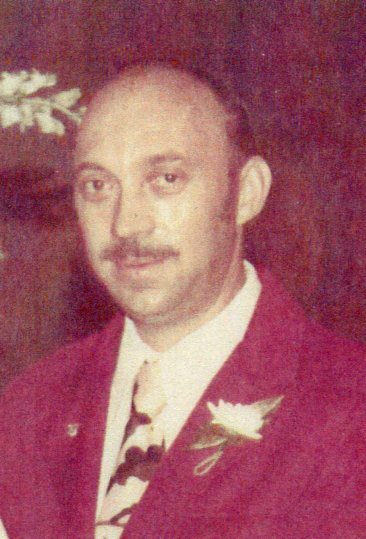 He was a member of Canton Baptist Temple, Canton Moose #233, Lake Cable Sportsman Club, Lake Cable Fish Club and Lake Cable Association. He enjoyed Bingo. Garnett is survived by step children, William A. (Marisa) Ziegler Jr., David (Vera) Ziegler, Arthur Paul Ziegler, Janet (Mel) Hanacek, brothers Gordon (Janice) Mull, Willard Mull and Kenneth Mull, sisters Minnie Sanders, Artie Guffie and Ruby McCray, ten grandchildren, six great-grandchildren and one great-great-granddaughter. In addition to his parents, he was preceded in death by his wife Miriam (Gerhardt) Mull, twin brother Garland Mull, brother William Mull, sisters Betty Freelant, Dorothy and great-grandson Matthew Gwinn. Funeral service will be held on Wednesday, August 1, 2018 at 10 A.M. at Heitger Funeral Home - Jackson Chapel, 5850 Wales Av N.W., Massillon with Rev. Delaney Young officiating. Burial to follow the service at Rose Hill Cemetery in Massillon. Calling hours will be held at the funeral home on Tuesday, July 31, 2018 from 6 to 8 P.M. In lieu of flowers donations may be made to Leukemia and Lymphoma Society, 6111 Oak Tree Blvd, Ste #130, Independence, Ohio 44131.